The Turnbull government’s 2018 budget for higher education is a mixed bag. On the one hand we have a budget that leaves in place comprehensive funding cuts and introduces what can be described only as a new tax, and on the other we have funding certainty for research infrastructure and an ongoing commitment to medical research. It’s a budget of cuts, freezes, taxes and mysteries, thinly iced over by two bright lights for the Group of Eight universities: a strategic direction for the Medical Research Future Fund, and longer-term certainty for research infrastructure. Sadly, the big issues confronting the sector, and the opportuni­ties universities provide for economic development, have been ignored as we head into federal election territory, which typically leads to political nailbiting over upsetting marginal seats. Two important issues not addressed by the budget are the ­future of the demand-driven system of university entry, and the lack of any cogent policy direction to address a sensible and holistic post-secondary education framework. The opportunity has been missed again for the government to work with the higher education sector to help deliver the research and economic targets outlined in it its own budget papers. This is not helped by what can be described only as a new $10 million a year tax levied against higher education providers for enrolling HELP loan students, detail of which is currently missing. For the Group of Eight, this seems to mean a new tax on almost all of its 24 per cent share of domestic higher education students simply for enrolling them. Imagine, as just one example, doctors being charged a levy by government for each patient they treat. It’s the much-derided private sector state government payroll tax morphed into a federal government university HELP ­student tax. It reflects a perception of our universities as a target of cost recovery and cuts rather than as a national investment. Universities have an important role to play, socially and economically. Our challenge is to ensure that we deliver our full potential for Australia. Achieving this in the interest of the nation requires planned investment in the expectation of a substantial ­national economic benefit. This has long been recognised by our global peers and competitors, many of whom face more challenging fiscal deficits than does our government. Universities are the crucible of economic health and growth and should be worked with and not against; funded appropriately, not starved. This budget enshrines the existing $2.2 billion in university funding cuts announced last year. The smarter thing to do would have been to invest in securing greater economic return from a sector that has created Australia’s third largest export industry. It is also worth noting as we weigh up this budget the impact on the more than 50 per cent of bush students who choose not to study at a regional university but at a major centre and city. These students have constraints imposed on their educational choices through the prohibitive costs of living away from home. Proactive and targeted policies for them are missing and pleas to address this fall on deaf ears. Also missing out in this budget are the many potential equity and low socio-economic status students who live in our outer metropolitan suburbs. 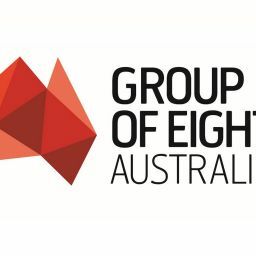 These are a group of university-capable young adults who will be a focus of the new formal partnership between the Group of Eight and the Australian Council of Social Service. This group has much to contribute to society through a university education but it is thwarted and intimidated by the costs. This wealthy nation is developing too many groups of forgotten and disadvantaged people, including students. But, as mentioned, there are two bright lights. One of them, which focuses on the societal benefit that comes from the crucible of universities, has been pushed by ever-determined federal Health Minister Greg Hunt, and that is long-term project funding for targeted health categories via his Medical Research Future Fund. The second light is the longer-term funding security for Australia’s much-needed research infrastructure. The Group of Eight leads 14 of the 27 National Collaboration Research Infrastructure Strategy network facilities. The costly equipment these centres house deliver such critical societal requirements as complex weather scenario predictions. Who among us would not support the need for the best intelligence Australia can provide regarding cyclones, bushfires and extended drought? The Group of Eight does not pretend that the government is not facing significant challenges. The world is getting ever more complex. New technologies are changing the way we live and work and interact with our regional neighbours. Demands on services are increasing. Success and prosperity will depend on our capacity to understand and manage these changing dynamics and to adapt accordingly. But the fact remains that it is our universities that will play a key role in educating and training outstanding graduates, in generating economic strength through the application of research, in delivering the benefits of international education, and in thought leadership to address the big issues facing Australia and the world. Australia is well positioned to capitalise on this new environment. Group of Eight universities are true leaders on a world stage: our quality in education and research are recognised worldwide through international measures such as ranking systems and employer surveys. This is why international organisations, including foreign governments, seek to partner with us through exciting and innovative ventures. Our government can and should do the same with carefully planned investment in the future of Australia. Vicki Thomson is chief executive of the Group of Eight universities.